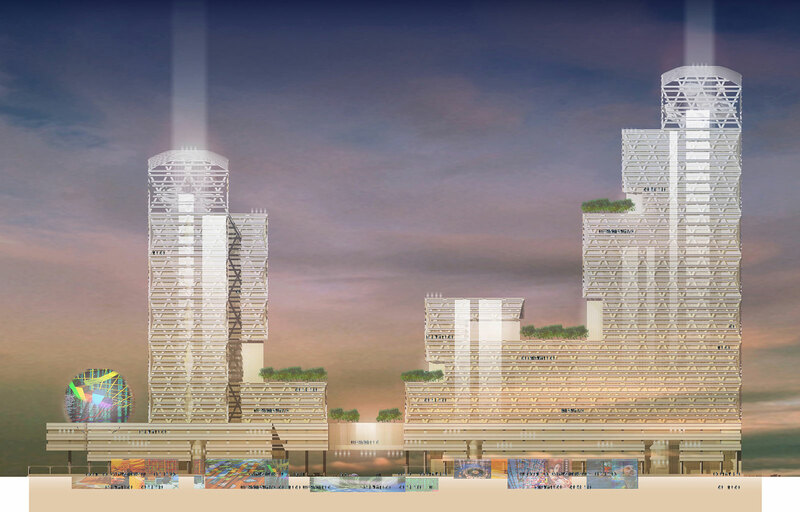 Johnson Fain was the first place winner in the International Financial Resource Center Design Competition. 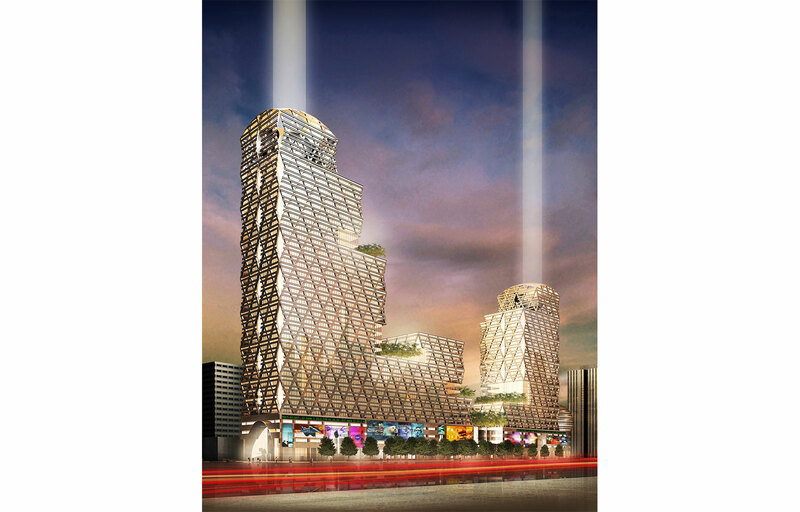 The Design takes advantage of its superb site location and its prestigious frontage on Jianguomenwai Boulevard. Inspired by the forms of the traditional Chinese lantern, a continuous and harmonious massing and building cladding emphasizes a sense of wholeness that visually unites the two separate site parcels. 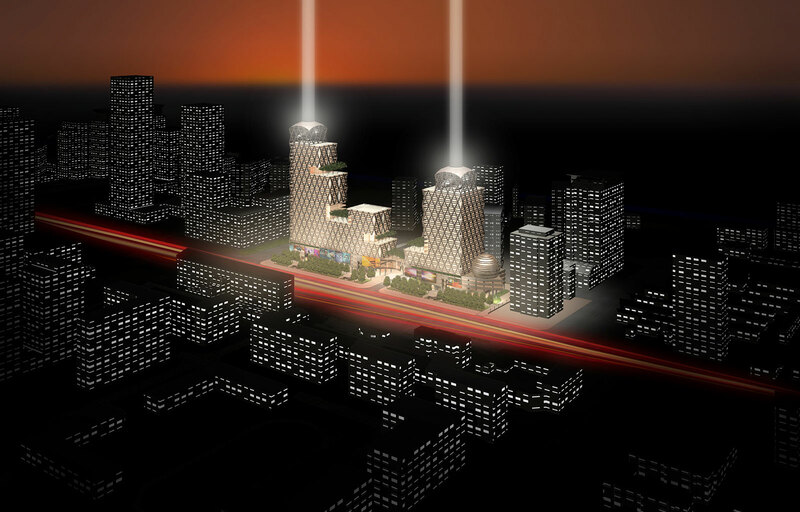 Two office towers at the east and west ends of the site, rise gracefully from the center of the project. The massing recedes to a lower level at the middle of the project along its longitudinal axis allowing for expansive views out of the two office towers. The west tower acts as an iconic gateway to the Central Business District along Jianguomenwai Boulevard. 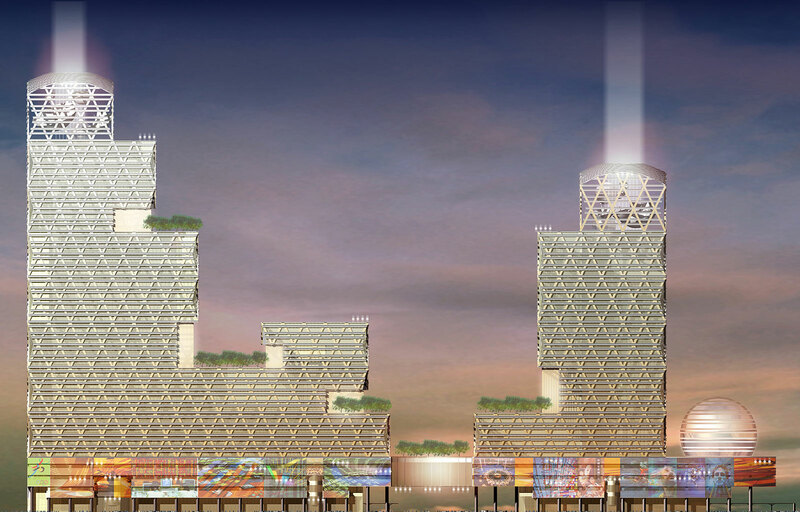 The taller east tower is sited at the end of one of the major open space armatures of the Central Business District to take advantage of the views along this open-space corridor. As the massing of the office towers step down towards the center of the project, the roof areas become sky gardens. These gardens take advantage of the southern light creating outdoor community spaces for the tenants at the upper levels. A continuous floor plate at the lower level of the office towers offers large column-free lease depths to the outer window wall that are both efficient for space planning and provide abundant natural light in order to reduce building electrical loads. Large entrances on the north face of the building lead onto the lushly-landscaped plaza along Jianguomenwai Boulevard. Three sunken courts along this plaza invite pedestrians down to the retail level below. Vertical pedestrian connections from the lower parking levels to the ground level are achieved through generous passages that intersect retail and other support functions along the visitor’s journey upward.